It’s here finally! 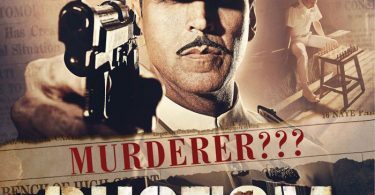 The much-awaited trailer of Akshay Kumar’s Rustom, written by Vipul K Rawal and directed by Tinu Suresh Desai. The film also stars Ileana D’Cruz, Arjan Bajwa and Esha Gupta. Rustom is based on real-life incident of Naval Officer K.M. Nanavati. Watch the trailer and tell us what you think. Stay tuned for the trade and audience response to the trailer, will be published tomorrow evening. Awesome trailer.. Akshay is fantastic as always.. I know I am going to be late for my 9AM class but the trailer was worth it.Really amazing to see how an actor can switch between genres with such ease.Will watch Rustom first before MD.Don’t want either of the movies to suffer losses.Ashu and HR have spent their 2 years in trying to bring something new and Rustom seems to be a content based film.Hope court sequences are as good as they were in Aitraaz. Only thing bothering me is that they have revealed too much in the trailer. Good one…but would collect max. 60 crores due to clash with mohenjodaro…..
not impressive at all. Can see the diverting things in trailer. Simply outstanding!Sensational trailer!This one is a must watch!Eagerly awaiting Rustom#IndependenceDay2016! Impressive as well as interesting trailer. Akki is looking Awesome as always. It is perfect watch for this Independence day.